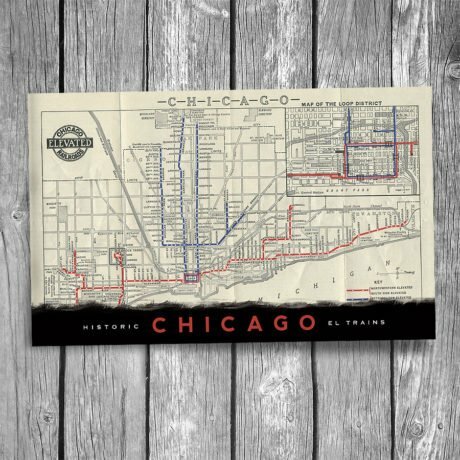 Historic Chicago "L" Map Postcard | Christopher Arndt Postcard Co. The historic “L” rail system has been in operation since 1892 and servesthe City of Chicago and surrounding neighborhoods through eight rapid transit lines. It is the second-oldest rapid transit system in the United States, third busiest, and fourth longest. The nickname “L” is short for elevated track, though the network also includes subways and grade-level track. 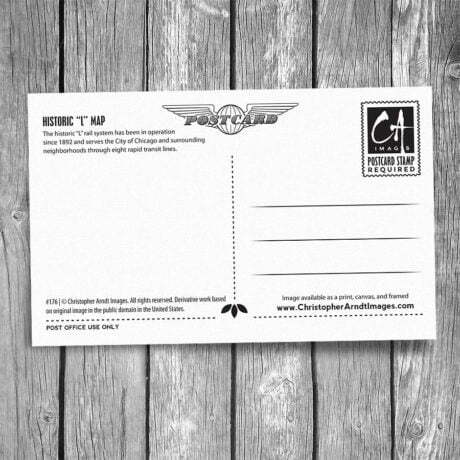 #176 | © Christopher Arndt Images. All rights reserved. Derivative work based on original image in the public domain in the United States.